I don’t like cliques (unless I’m part of it, of course…) and I have to say, one that I’m happy to be a part of is the brotherhood, and sisterhood, of ice cream makers. I wasn’t the first person to write a book, The Perfect Scoop, about making ice cream. But it landed on the cusp of something that was happening: People were rediscovering ice cream. I’ve always dreamed of opening an ice cream shop. And while that ship has probably passed, I’m so happy to see that a lot of people have done so, and quite successfully, I might add. When I first met Doug Quint, he was manning an ice cream truck next to Union Square in Manhattan. Even though another ship has passed – namely, I’ve gotten older – like a couple of millennials, we had chatted via social media and I thought it’d be fun to meet. When I arrived, the line stretched halfway down the block. And in Manhattan, that’s a city block between two avenues, which is huge, mind you. I waited 20 minutes and barely moved. Because I have zero patience, twenty minutes to me is an eternity and hopefully you’re never stuck next to me on an airplane, because things get a little weird in my row after that twenty-minute mark. So I decided to head back another time. However I could not leave without saying hi and took a moment to knock on the back window of the truck, where Doug was swamped, scooping and saucing like a madman. He leaned out and gave me a big hug, and told me to meet him at the shop that he and Bryan Petroff they were just finishing and he gave me a massive slap across the face. I figured that was the initiation to the brotherhood (or sisterhood) of ice cream makers. So if you want to know how you can join, plan to have some painkillers nearby. It was the slap that was heard around the world and now Doug and Bryan no longer roll around in their ice cream truck, but instead are swirling it up in one of their unicorn and rainbow-filled Big Gay Ice Cream shops in New York City, with another in Philadelphia, and more planned in other cities to spread the word of superior soft-serve ice cream. Yes, those fiery preachers were right: These guys are out to recruit! After the swelling had gone down, I realized my initiation – or perhaps hazing – was complete. And I was happy to visit the store now that it’s open, and thriving. I spent an afternoon behind the counter with Doug, who got his master’s degree from Julliard music school as a bassoonist, and people of all ilks came in: gangs of teenagers after school, businessmen in grey suits, moms with kids in strollers, tourist couples with cameras around their necks, some guy who looked like a famous movie producer, and a few other assorted New York characters. 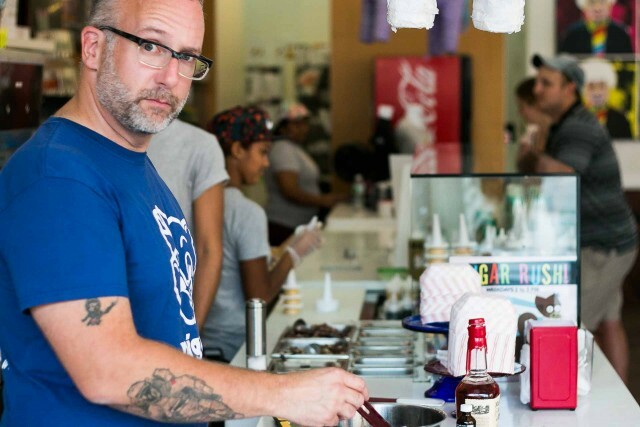 Bryan and Doug just came out with their first book, Big Gay Ice Cream. It’s not just a recipe book (as Doug, jokingly – I think, told me, “We just took all your recipes, and used ’em…”) but a fun-filled romp high, written like a high school yearbook, the kind we all wish we had, instead of the ones we ended up with. There’s no talk of hazing in the book, although I did lend a quote for it. As did notables like Rachael Ray, Anthony Bourdain, Anne Burrell (who was at the opening party for the book, as was I, where I was truly astounded by her gravity-defying hair in person – you go girl! ), Tommy Lee, and Gail Simmons, although none of them mentioned “soft serve” and “Viagra” together, like I did. Which makes me think that that’s why I don’t have my own television show, come to think of it. With this book, you can make a Magic Shell sauce that crackles when it hardens on top of your ice cream, with no dubious ingredients. 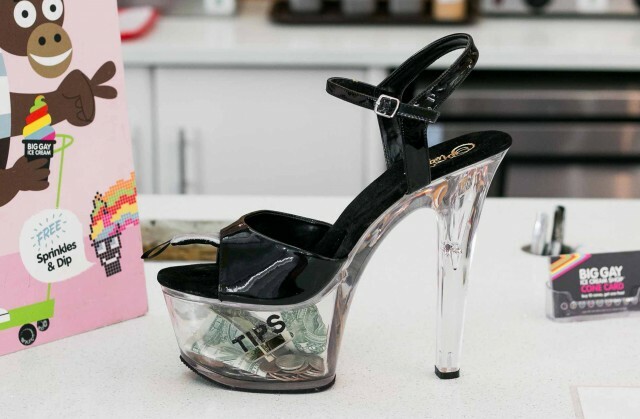 You can learn the secrets of their famous Salty Pimp Sundae to make at home. You can whip up a batch Awesomeness Sauce with two kinds of chili powder. I wanted that Rocky Roadhouse sundae up above, but it was being handed off to a customer and didn’t think it would be polite if I grabbed it out of his hand. And I didn’t want to get slapped again by the owner. 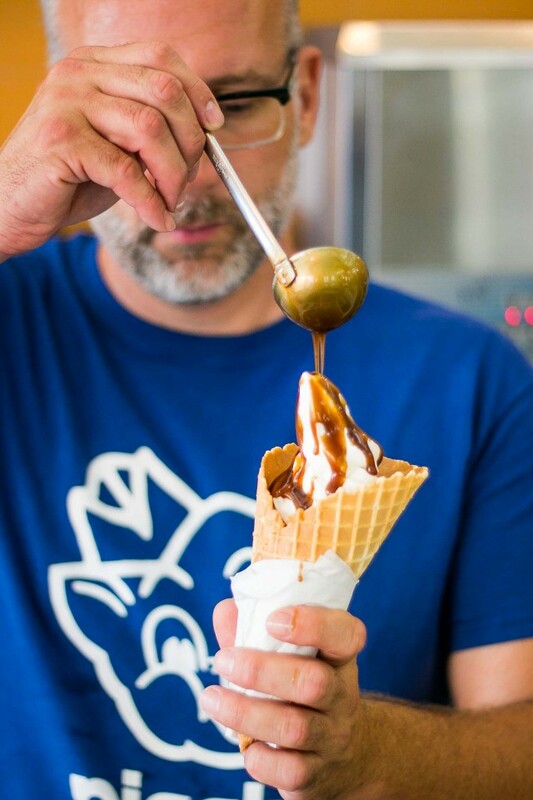 The shop uses a special dairy blend for their ice cream from Ronnybrook farms, a local organic dairy, which also supplies their heavy cream. 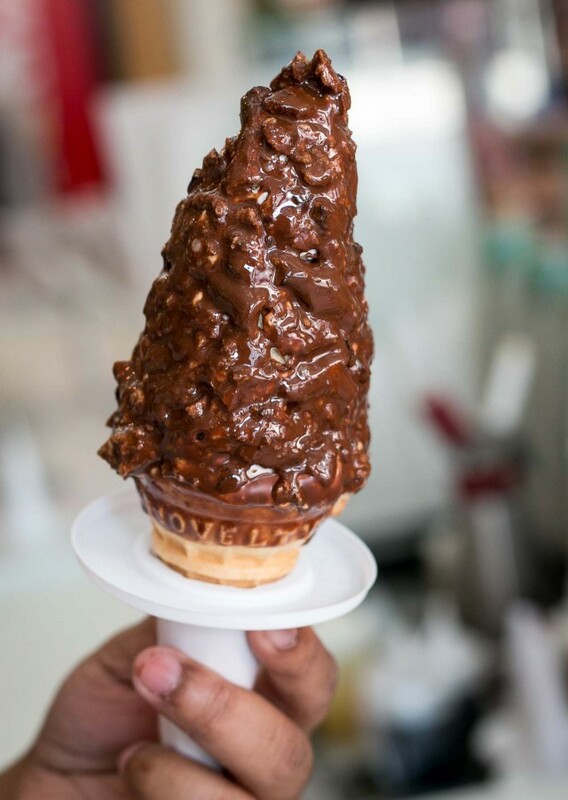 They try to use as many high-quality products as possible, even going so far as to mix up their own special blend of rainbow sprinkles, going less-heavy on the yellow, and dialing up the other colors, until they are exactly the right proportions to ensure that each customer gets a beautiful, and well-curated, rainbow of happiness with each cone. 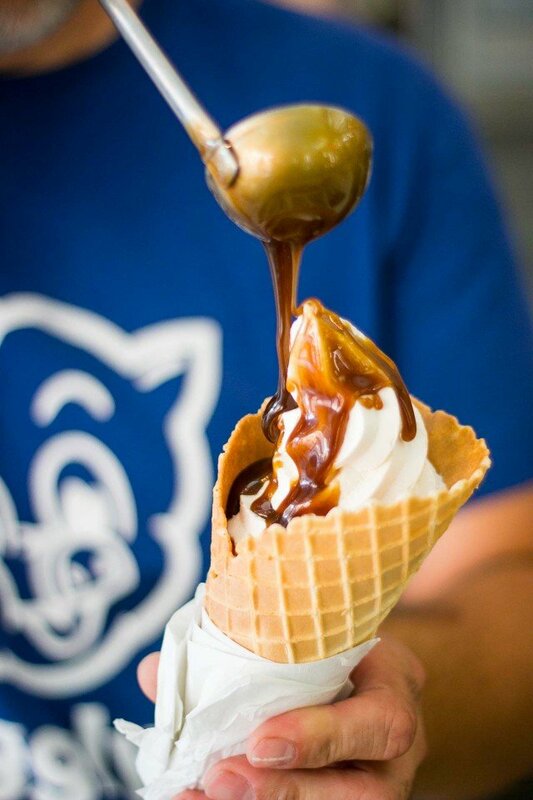 This bourbon butterscotch sauce is one of their most popular toppings. And it’s easy to see why. It contains two of my favorite ingredients: butterscotch and bourbon, melded together in one creamy-rich sauce, spiked with a big hit of bourbon. It’s thick enough to be the perfect, sweet-boozy topping for a scoop – or swirl – of your favorite ice cream. To make it at home, if you don’t have magic unicorns looking out for you, it’s important to use a very large pot to make this. Doug perhaps trusts in the magic of his unicorns and used a regular large saucepan for the sauce, that bubbled up furiously to the top, but settled down after a bit and didn’t overflow. Because this pro knew exactly how high it would go. But to avoid spills, I’d use a Dutch oven or similar-sized pot. It makes a lot of sauce, but any extra could be jarred up and given as gifts. And next time you’re in New York City or Philadelphia, I recommend stopping in one of their shops. 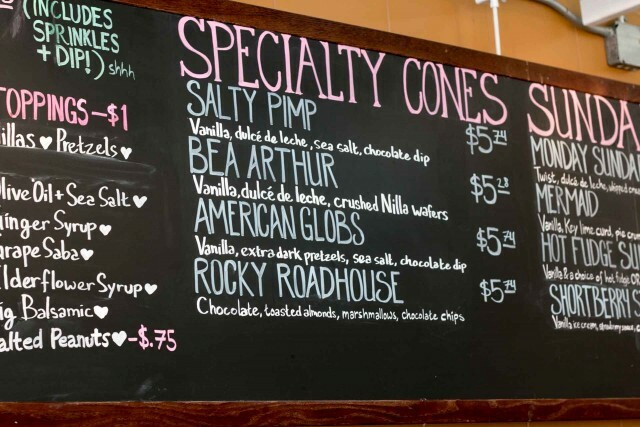 Bryan and Doug have made ice cream fun again, not that it ever wasn’t, but they’ve definitely taken it to another level. Which is where this sauce took me, when I had my first lick of it. 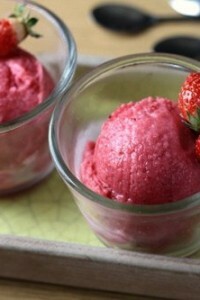 Adapted from Big Gay Ice Cream by Bryan Petroff and Doug QuintThis makes a big batch of sauce. But in case you’re not running an ice cream truck, feel free to cut it in half. It’s really wonderful spooned over – well, everything. Even spooned up right out of the bowl once it’s cooled down. For those who’d like to try it with another liquor, dark rum or another favorite could take it in a different direction. For those wanting to omit the alcohol, you can add a vanilla bean split lengthwise in addition to the vanilla extract. A splash more cream (or water) might be necessary at the end, to thin it out.Sauces such as this tend to boil up, so although Doug used a large saucepan, I recommend a bigger pot, such as a Dutch oven. And watch it closely while it cooks. If it threatens to boil up and over, remove it from the heat and let it simmer down before continuing to cook it further.
. In a large pot, heat the butter, brown sugar, corn syrup, heavy cream, salt, vanilla and ½ cup bourbon, stirring until smooth. Continue to cook the sauce over medium-low heat, stirring frequently with a heatproof spatula, until the brown sugar has melted. Continue cooking for about 15 minutes, watching it carefully and stirring occasionally, until the sauce has thickened and reduced. It’s done when the sauce is thick enough to coat a spatula when you lift it. 2. Remove from heat and when it’s cooled down enough to taste, add additional bourbon, and more salt if necessary, to taste. Adding bourbon to very hot butterscotch may cause it to boil up so it’s best to wait until it’s cooled down a bit. And you don’t want to burn your tongue, so please be patient – although I know it’s hard. Serving and Storage: Serve warm over ice cream. The butterscotch sauce can be refrigerated for up to two weeks. Rewarm over low heat in a saucepan, stirring constantly. I love what happens when these Julliard folks enter the food world. Molly Yeh from mynameisyeh.com is another great example, and she happened to write the linked article. I wish you had a picture of their rainbow sprinkles, but I guess I have to go see for myself some day. Fun stuff. I was hoping for a photo of the sprinkles too! The workers were moving pretty fast and I was trying to stay out of their way, as they dove into the sauces, toppings and sprinkles. But you can see a picture of them here. Thanks, David! Those are perfect rainbow unicorn sprinkles. As an ice cream addict I need that book and I need that sauce in my life! It looks delicious. This butterscotch sauce could alleviate my sadness though. I disagree: I would totally love to be in your row on a flight. Brownies (spelled with a Y) were the hot ticket at last night’s FIAC opening at Grand Palais. I sure wish butterscotch sauce would catch on next. Maybe brown sugar is the conundrom. I miss it dearly. 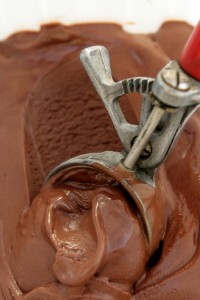 I wish you would open an ice cream shop in Paris!! Then I’d be set. It’s a good thing they don’t have a parlor near where I live, or I would go from mildly overweight to seriously overweight lickety split! 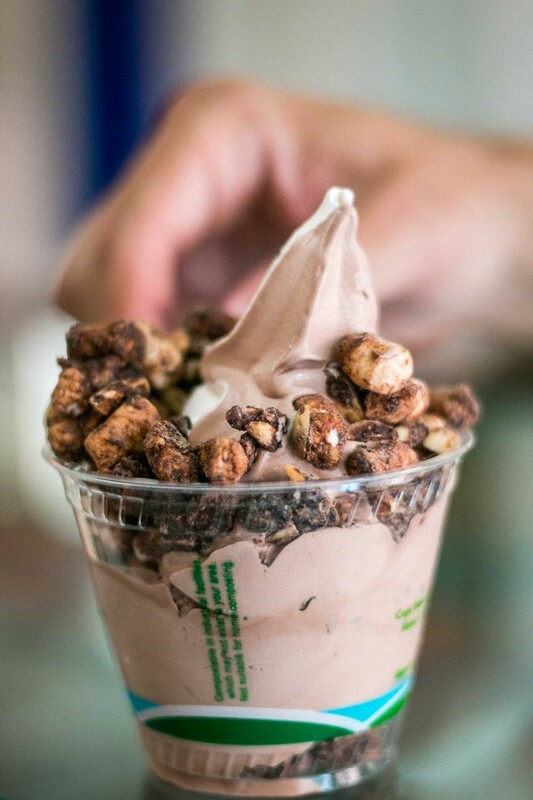 Hi David, after reading this article I’ve decided to head over and grab a rocky road sundae right after work! 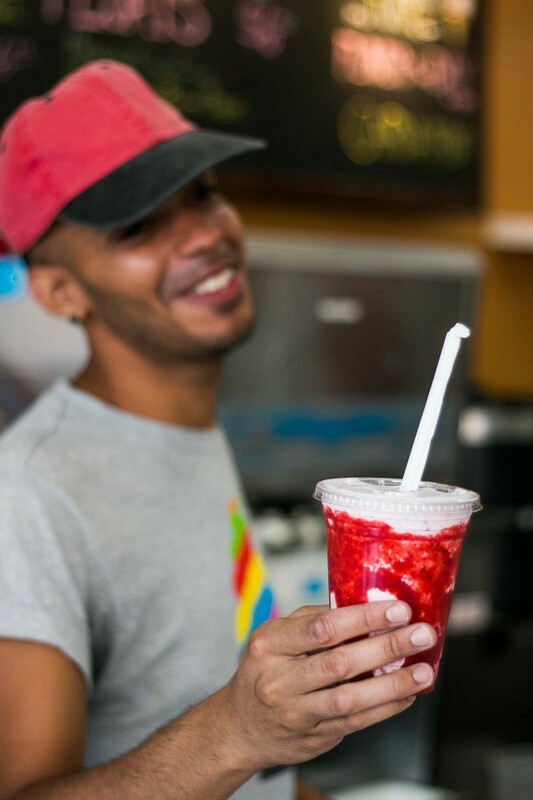 Big Gay Ice Cream in Manhattan is fabulous. A true experience. The lines are out the door but well worth the effort. Thank you for posting the butterscotch sauce! 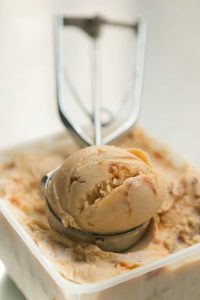 I make a bourbon caramel sauce which is very similar, but now I’m going to have to try this bourbon butterscotch recipe. I think the difference is the brown sugar, and now I need to know how it tastes! Omg! Delicious sounding recipe! It will kill me, but what a way to go! Thanks for sharing! Bourbon, butterscotch, and ice cream- how could that possibly get any better? Since I’m not going to be heading to the east coast anytime soon I guess I’ll have to make this at home. One nice substitution that I’ve used in the past is to use egg nogg instead of the cream. It’s a nice little twist that will leave your guests wondering what you did differently. my oh my. I just made a half batch of this and I’m sorry I didn’t go all the way! pretty darn easy and pretty darn tasty. thank you! Fantastic. I’ve been to this place a few times but didn’t realize I went to music school with Doug! Love this place!! David: I will be in Paris on Sunday . Do you have any events or know of any fun food things that week. I too am from S.F and am a chef. Went to school with Alice,Susie.,Joyce,etc. Been comimg to Paris for 40 years. Looking for something new. Love your food blog. Are your books available Smith’s. Unless I’m missing something, you’ve omitted the corn syrup in the first paragraph, but definitely put in all the other ingredients, including the cream. Is this correct, that the cream and butter go in at the beginning (with, I’m assuming, the corn syrup)? 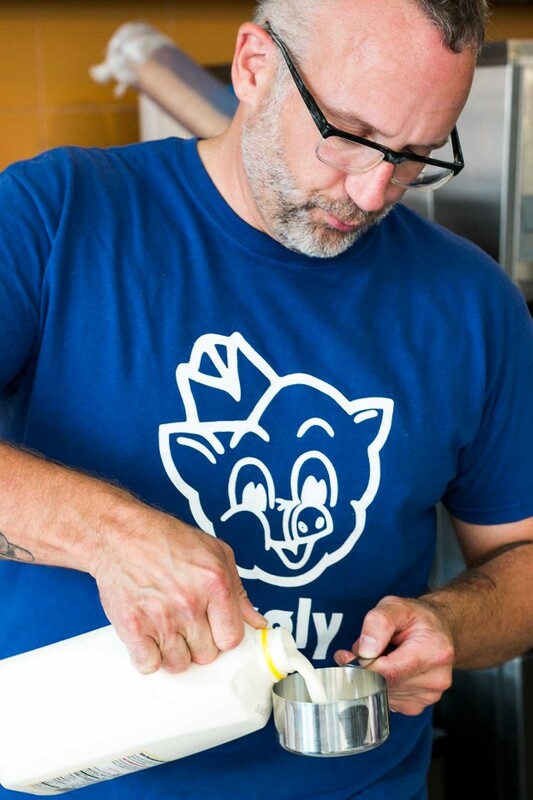 LOVE the piggly wiggly tee-shirt! Sounds like heaven! And bourbon caramel sauce to boot!! Honey-Bunches, MOVE AWAY FROM THE ICE-CREAM and NO ONE GETS HURT! Pure sin. The devil sits upon the doorstep, simply daring me to drag out my ice cream machine. I have you to blame for buying that item in the first place. I had to, I bought your book first. Good heavens, there isn’t a way in he// I can drop a dress size. Omar, my tent maker, is already warning me of price increases for bolts of fabric required as I dine on all things, creamy and dreamy. I am out of bourbon. Going rum for this and using it as a drizzle over brownies. Need a gift for a Celebration of Life. This is a lovely recipe. 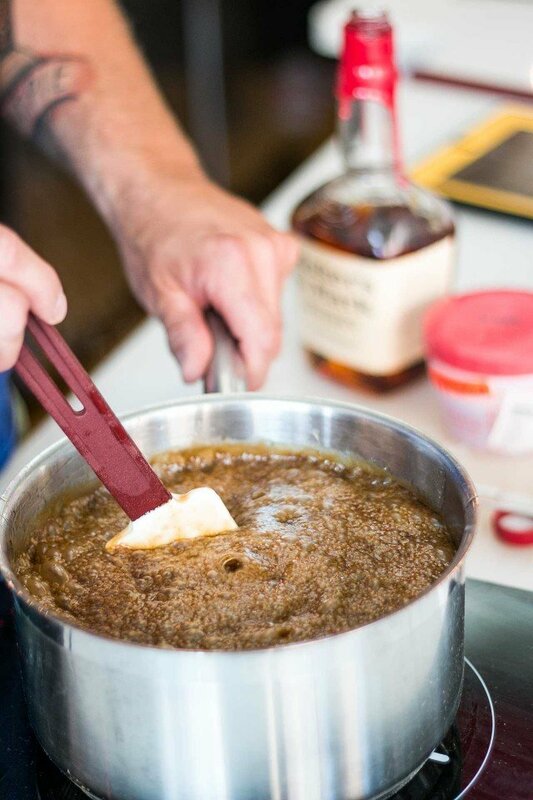 I love this idea of bourbon included in a butterscotch sauce recipe. Will try this recipe later, but this has got me thinking about what other flavours could be added to a butterscotch sauce. An Orange liquor comes to mind.Any other ideas? Why don’t you try David’s recipe first before imagining variations?! Bourbon makes this sauce more interesting, not just sweet but also a bit smokey. Gives it more depth. Delicious! I made a batch of vanilla icecream tonight and this sauce. What a dessert! Thank you, David! I think this will be the topping on my Thanksgiving pumpkin cheesecake this year and I’ve added Big Gay Ice Cream to my plan for my next trip to NYC. I am requesting help with a food dream. Last night I had a dream where I went to a new dessert shop near my job and they made meyer lemon chocolate shortbread and frozen lemonade! The shortbread had shaved chocolate, not chips, but the frozen lemonade! It was lemon with chocolate in it but not swirls, more like clouds of chocolate in a lemon sky. It was served in a cone like a twist but more creamy. I know your Perfect Scoop book has an ice cream swirled with mango sorbet. Would it be possible to create this dream ice cream? I have been making ice cream for a very long time and will pull your book out when I get home. Thank you!